When the website is created, the work does not end there. The website needs an advertisement to let potential clients know about it. Otherwise, the website will be almost dead, because very few people will know about it, and therefore visit it. We offer our clients a solution to this issue using online marketing. SEO is a strategic process to drive web traffic to your website to get a high rank in search engines like Google, Yahoo or Bing. It is an evolving professional practice as well as social engagement. Through quality content, website audits, link building, keyword research, etc.. that are very effective and won’t lose value over time. SEO services boosts your search rankings, increase leads and sales taking your business to an upper level. We offer SEO services to help you to stay at the top in the competitive market. 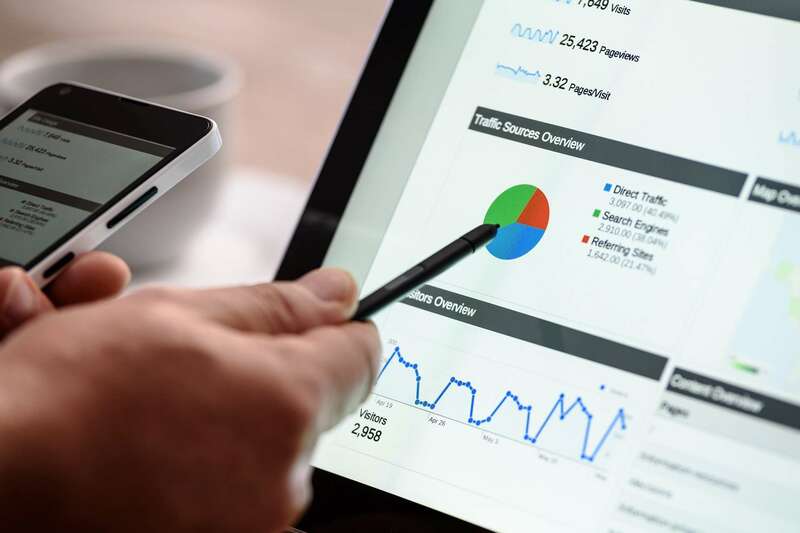 Our knowledge of online marketing will extensively perk up the required traffic to your website and help improve your ranking for search engines. SEA is a marketing technique that puts online ads in search engine results. Businesses that place these advertisements in the search results pay a small amount of money every time a user clicks on one of their ads. We utilize every Ad channel to deliver a better RoAS (Return on Ad Spend). We locate highly relevant keywords relevant to your campaign/ brand/ product and target audience to create ads that drive clicks. We don’t claim to hit the jackpot at our first step, so we regularly monitor your campaigns, check its effectiveness tweak and implement changes wherever necessary. SMM is a form of online marketing that utilizes social networking websites as a marketing tool. The goal of SMM is to produce content that users will share with their social network to help a company increase brand exposure and broaden client reach. We deal with all social media platforms to ensure maximum inbound traffic and maximum sales rate.Our social media services are best in the industry and we make use of only ethical ways to attract traffic and improve your profit. EM is a form of direct marketing that uses electronic mail as a means of communicating commercial or fundraising messages to an audience. In its broadest sense, every email sent to a potential or current client could be considered email marketing. We implement the best practices and strategies around to develop a successful email marketing campaign. We pave the way for you to get into your targeted audiences’ hearts starting from their inboxes.